Choosing an attorney can be a difficult task, especially when you are facing a serious criminal charge. For any allegation, the Law Office of H. Manuel Hernández, P.A. provides clients with high-quality advocacy and uncompromising integrity. Clients trust me because I offer a unique combination of skills and experience to help preserve their legal rights. For more than 30 years, I have represented individuals, companies in criminal trials and investigations. 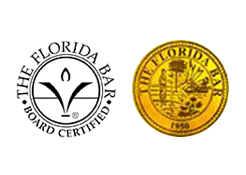 I am a Board Certified Specialist in both Criminal Trials and Criminal Appeals by the Florida Bar Board of Legal Specialization & Education, so I can provide knowledgeable assistance at any stage of the legal process. As a bilingual criminal lawyer, I am not hampered by difficulties that complicate some attorney-client communications. From our first meeting, you will receive the respect and compassion that you deserve. I will personally handle your case. Highly recommended counsel — For decades, clients and colleagues have referred me to family and friends because of my record and commitment to justice. I have earned an AV® Preeminent™ Peer Review Rating by Martindale-Hubbell® in recognition of my legal ability and ethics by attorneys familiar with my work. Real-world experience — I served in the Department of Justice in Washington, D.C., for 10 years and also worked as a federal prosecutor in Florida, Colorado and Puerto Rico. With substantial history on both sides of criminal trials, I can quickly identify and exploit flaws in prosecutions and investigations. Individualized attention — With so much at stake, defendants needs advice and strategies tailored to them and their circumstances. My knowledgeable staff and I are dedicated to providing you with the personalized service and attention that you deserve. H. Manuel Hernández, Orlando Criminal Defense Attorney represents clients in Florida and federal courts, as well as Criminal Cases in the U.S. District Court for the District of Puerto Rico. He is also of counsel to the law firm of Almeida & Dávila, PSC in San Juan, Puerto Rico. He is not admitted to Practice in the Puerto Rico Commonwealth Courts. White collar crime — My office can handle the most complex white collar prosecutions. Unlike many defense attorneys, I have significant experience taking these cases to trial. Drug crimes — For cases involving individual conduct or allegations of high-level conspiracy, the Law Office of H. Manuel Hernández, P.A. vigorously defends clients and can craft strong challenges to evidence. Felonies — Serious allegations demand a serious advocate: one who does not need time to learn the relevant legal and procedural rules. I can start assisting you immediately with a solid defense against any felony charge. Medicare – Medicaid Fraud – For cases involving improper billing, fraudulent prescriptions, false and fictitious medical expenses, receiving kickbacks. I am a qualified criminal federal defense attorney. Criminal Appeals – Criminal Appeal Lawyer, State and Federal appeals. Federal Crimes–Federal Investigations, Grand Jury subpoenas, Target Letter. Money Laundering, Workers Compensation Fraud, Tax fraud. My vast experience in federal court is an asset to your defense. No matter what specific counts are involved, I will give you the highest level of legal representation at a fair fee. I will handle your case personally. Contact an Orlando criminal defense lawyer, federal defense attorney, Criminal Appeal Lawyer and Personal Injury law firm for a free initial telephone consultation. The Law Office of H. Manuel Hernández, P.A. defends individuals and corporations from criminal charges in Florida and throughout the United States and Puerto Rico. Call 407-682-5553 or contact us online for a free initial consultation. Se habla español.